Over the last few months, my daughter had an amazing opportunity that allowed her to review and play with products from one of her favorite toy brands, Lalaloopsy. We've shared our experience and her thoughts with all of you and have one more to share with you before the Lalaloopsy Toy Box Program comes to an end. 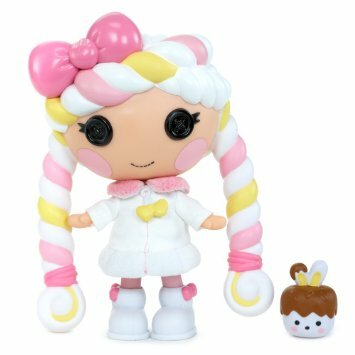 Our last Lalaloopsy doll we received was the Mallow Sweet Fluff doll from the Sugary Sweet Little Collection. They're the cute younger siblings of the Lalaloopsy characters. These littles came out just in time to go along with the new Lalaloopsy movie: Festival of Sugary Sweets, which Joey also received and absolutely loved. She loved that she had a movie to watch with her ever growing Lalaloopsy dolls. The Mallow Sweet Fluff doll is candy themed, seven inches tall and comes with a little pet. Because of the beautiful colorful hair of Mallow Sweet Fluff, the doll isn't able to sit down, but that didn't bother my little girl one bit. 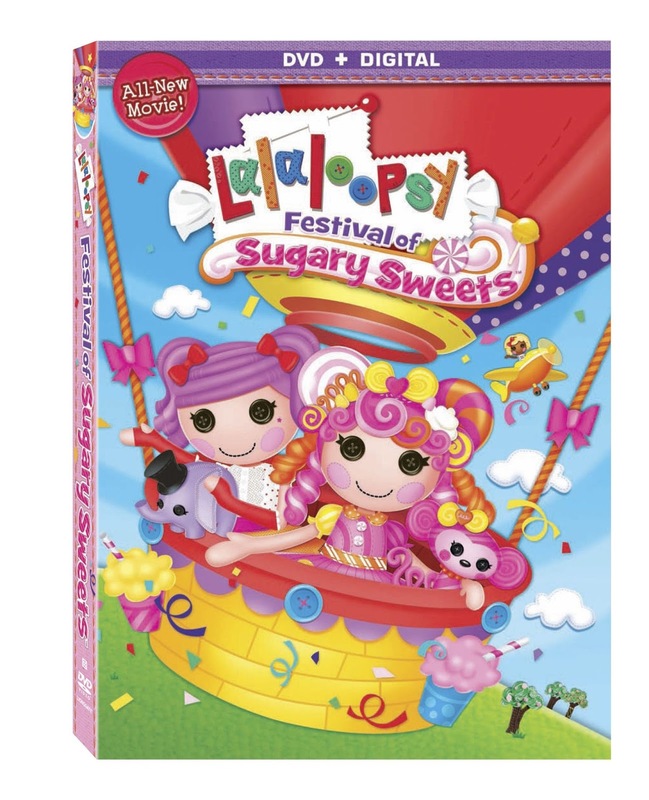 It's the day of the Lalaloopsy Land annual Festival of Sugary Sweets! When all the finest cooks and candy makers in the Land share their talents with the most talented eaters of candy and baked goods. Everybody is getting ready for the big day! Festival of Sugary Sweets was a great movie. What I loved about it was the positive messages the movie gives about friendship and problem solving when working together. Like all of the Lalaloopsy dolls, TV show and movies, this always inspires my little girls imagination. She takes the dolls with her everywhere she goes. Watching her play and imagine in such a tech-savvy generation makes me very happy. The Lalaloopsy Toy Box Program is ending, but we want to offer one lucky Just Us Girls an amazing prize that includes a Lalaloopsy Prize Pack valued for $100! This giveaway is for our Canadian readers only. 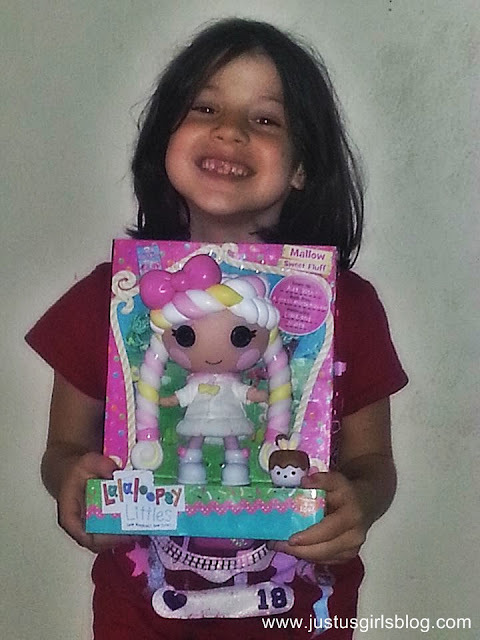 Be sure to leave a comment sharing your kiddos favorite Lalaloopsy character! Disclosure: All opinions are my own. I received a Lalaloopsy Doll and movie at no cost for the purpose of this review. No other compensation was received.